The glande roller moulds, work well - but you have to be pretty pedantic with the amount of clay. ie: it needs to be within a gram or so of the same weight every time. problems I've had with press moulds in the past is the same. you need the exact amount of clay, plus you also have the need to line the mould with clingfilm to stop the clay sticking to it. But if you could make a press mould non-stick - quick wipe with 3-1n-one oil on kitchen paper, perhaps. And also intruduce pressure release channels so that you could just dump a lump in, squeeze and get a perfect glande every time - it'd be worth doing. I have bugger all experience with moulds beyong the glande experiments. Anyone know how they release the excess clay in commercial factories ? I'd also like to make the press mould hinged, which would give you directional pressure and only require channels one side. If you put holes along the top and bottom edge of the mould, then getting the glande out is going to be a right sod and it'll deform in the process. So it's going to need to come out along the edges. I figure you could use a gapped guilliotine effect and use that to cut the skirt when you opened the mould, and remove the excess. So I'm looking for ideas, things I might not have thought of etc. I cant help you on the thoughts. But, the clay rollers work great. If I notice I have too much. The glance becomes deformed, I just pinch a bit off and re roll it. Which I dont see a problem with. But if you need testers. I am the 1st in line. I just like the idea of not needing a scales with you. The guys in guam have a shaped rock that's used to size and shape a clay glande. That would be easy to do. But a hinged press mould would be a lot faster and not require weighing. Once I've got this bloody nozzle right I'll start having a play. sometimes you get a part designed and printed bang on first time. Just make a lead mould already, stop fuffing about with inferior clay! nowhere I could throw a lead glande. Clay is traditional, easy to work with and the stuff I use doesn't leave dangerous sharp bits behind like stones do. Clay glandes would have been used long before lead ones. Given how far i could throw a lead glande, there's nowhere I could guarentee there would be no people or animals at the end of the flight. Ich schieße sehr selten mit Blei. Es ist sehr gefährlich. Nicht gut für die Umwelt. Ich erlebte einen schlimme. Unfall bei einer Vorführung. Ich mag die. Formen von Alex sehr. Leider habe ich noch keine. Ich werde leider dieses Jahr nicht in Mallorca dabei sein. Zu viele andere Projekte in diesem Jahr. Zu wenig Urlaub dafür. Im Moment bin ich krank 裸. 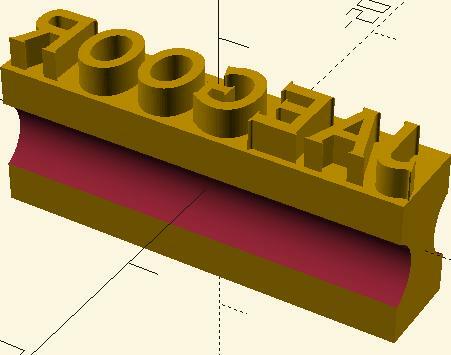 If hinged molds without channels work with Play Doh, maybe they would work with clay as well. 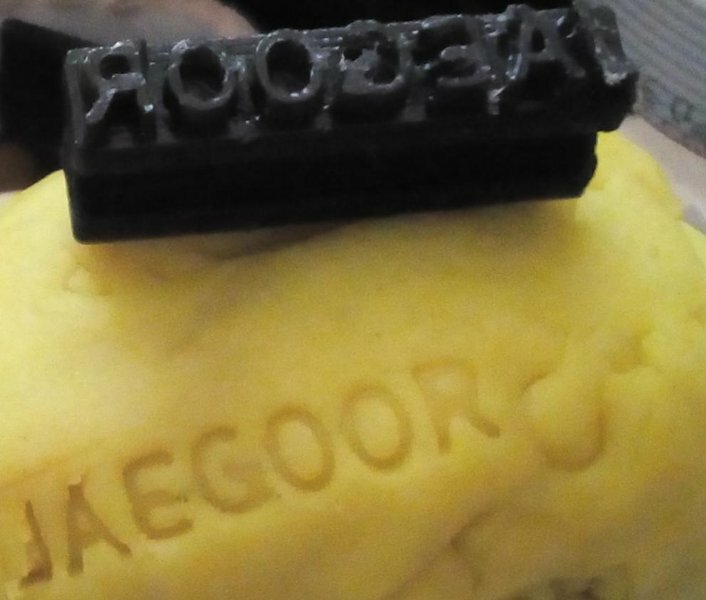 I use playdoh to test stamps and moulds. I'm surprised how well that icecream mould worked. For a glande though, you need the starting clay to be all one piece. When you use two halves like that clay doesn't stick that well and the seam is really weak. I've had two part moulded glandes simply split in two on launch.